While penning a series of articles on Internet security, author Michael Gurnow noticed there was something odd in the world’s response to NSA whistleblower Edward Snowden. The public was evenly divided while diametrically opposed politicians were in strange agreement. Regardless of opinion, the Left, Right, anti-establishment, conspiracy theorist, techno-greek or Washington insider people want to know more about Edward Snowden and the events that led to his disclosures. 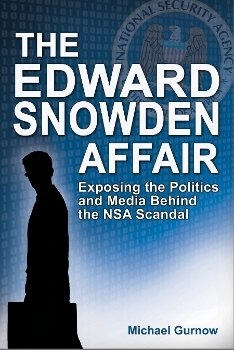 The narrative begins with Snowden literally growing up in the shadow of the National Security Agency. At a pace that reads like a taut political thriller Gurnow reveals for the first time the dramatic details of how select members of the media broke the story, and the cat and mouse game that followed between the media and the administration. Gurnow goes on to explain in plain language the political, legal and technological implications of the whistleblower’s classified data.